While his colleagues in Parliament were reeling over a report on poor regulation of Norway’s offshore installations, and another shows that most young Norwegians oppose more oil exploration, Norwegian Oil Minister Kjell-Børge Freiberg was busy and visibly proud to be handing out a record number of new offshore oil and gas exploration licenses in Norwegian waters. “It’s a good day for the country, a good day for the future,” Freiberg claimed, much to the disgust of climate and environmental activists. Even the most hard-core among them, along with several Members of Parliament, were aghast over a highly critical report on offshore safety regulation issued by Norway’s state auditor general’s office just as Freiberg was meeting oil industry officials in Sandefjord for an annual seminar. The report shows how Norway’s Petroleum Safety Authority (Petroleumstilsynet, PTIL) has failed to uncover serious safety challenges on Norwegian oil installations, failed to react strongly enough, failed to follow up on demands for improvements and allowed the long-troubled Goliat platform to operate before it was cleared as being safe. 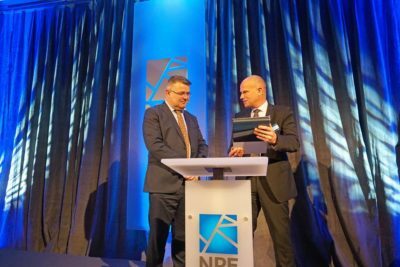 That all came just as Freiberg’s prepared speech text had him telling the Norwegian Petroleum Society that Norway was “a world leader” in health, working conditions and safety on oil field installations. His text also described the system, in which oil companies are responsible for health, maintenance and safety (HMS) while the authorities follow up, as “a wise division of labour” and “the gold standard” internationally. In claiming that it was “a good day” for the country and the future, Freiberg also believes exploration activity, which can lead to production activity, will continue to generate revenues for the state treasury for years to come. This year, he told his audience in Sandefjord, the state’s net income from petroleum operations alone will amount to NOK 289 billion (USD 34 billion). Last year the oil ministry granted 75 such licenses to 34 companies, a record amount until this week. Companies from Norway’s own Equinor to Germany’s Wintershall secured licenses, with Equinor typically emerging as the big winner with 29 licenses followed by Aker BP with 21. Vår Energi, operator of the long-troubled Goliat platform that features heavily in the state auditor’s critical report, wasn’t punished and instead was granted 13 new licenses, and operating control of four of them, exactly what Haltbrekken doesn’t think should happen. Freiberg brushed it off, refusing to accept the premise that Norwegian oil policy runs counter to climate goals. “Norwegian petroleum activity is important for the financing of our common future, and Norwegian gas plays an important role (as an alternative to coal when exported to Europe),” he told DN. Norway’s oil minister further stressed that his ministry wasn’t opening up new areas in this round of licensing, but rather granting licenses in areas that had been turned back to the government. Freiberg remains faced with a new generation of young Norwegians who are more concerned about climate change than the future of Norway’s oil industry. The youth organizations of the Labour Party, the Christian Democrats and the Liberals all want to halt all further oil and gas exploration and the granting of any more license for such. The Socialist Left’s, Reds’ and Greens’ youth organizations also call for the same, along with a gradual phase-out of the oil business. Labour’s youth group, AUF, called for a managed shut-down of the oil industry by 2035 at its last national gathering in October. A recent survey conducted by the environmental organization Fremtiden i våre hender (The future in our hands) also shows that a majority of Norwegians under the age of 24 oppose exploration. The survey conducted last summer showed 53 percent of those aged 18 to 24 want Norway to stop all further oil and gas exploration, as did 41 percent of those under age 34. “We’re seeing a clear generation gap, perhaps because the climate crisis will affect the young more, and we should listen to them,” the leader of the organization, Anja Bakken Riise, told newspaper Dagsavisen. Another recent survey showed that 37 percent of all Norwegians think oil exploration should cease, while more young Norwegians have appeared more reluctant to work in the oil industry. DN has also reported that the numbers of young Norwegians applying to study for a career in the oil industry have sharply fallen in recent years. 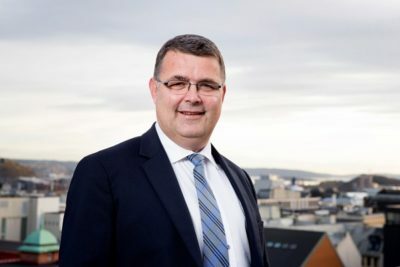 Even the outgoing mayor of Stavanger, Norway’s oil capital, has been championing climate issues despite opposition from local businesses and her own Conservative Party that currently controls the government in which Freiberg serves. Christine Sagen Helgø joined the opposition Labour Party and the Liberals in pushing for tough carbon emission cuts in the Stavanger region.